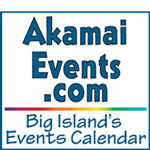 Mountain View, Hawai‘i’s Big Island (November 16, 2009) – Plans are underway to establish a new farmer’s market in Mountain View at the Hilo Coffee Mill on Saturdays. Market days are initially scheduled for Saturdays. Hours are tentatively set for 7 a.m.–12 p.m. Vendor space is limited. Anyone interested in participating should call Kathy Patton or Jeanette Baysa at Hilo Coffee Mill, (808) 968-1333. 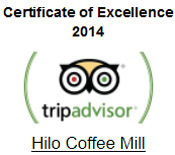 Hilo Coffee Mill works diligently to bring East Hawai‘i coffee to the forefront of the world market and to add East Hawai‘i to the list of ‘Best Coffee Growing Regions Worldwide.’ For more information or orders, visit www.hilocoffeemill.com, email coffee@hilocoffeemill.com, or call (808) 968-1333, or toll-free (866) 982-5551.